Lush Fab Glam Inspired Lifestyle For The Modern Woman: Fab Travel Tips For The Jetsetter. 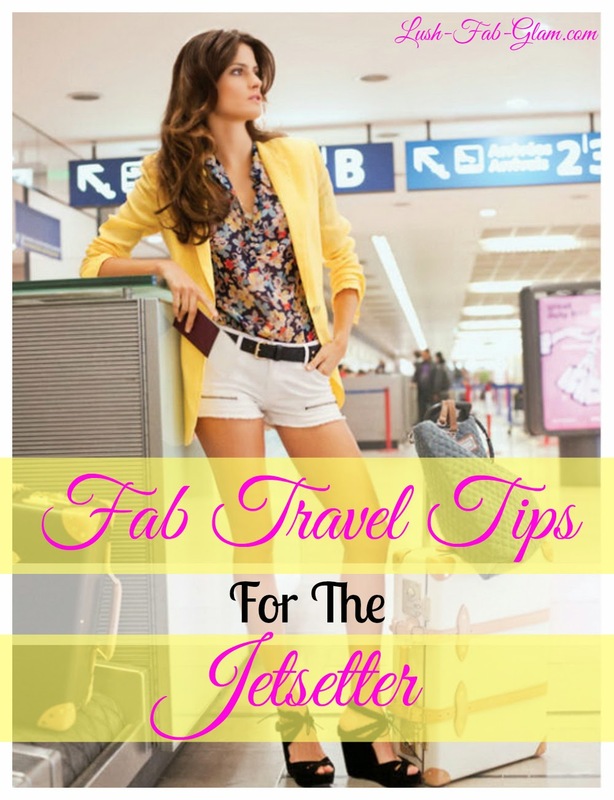 Fab Travel Tips For The Jetsetter. As travel enthusiasts we know first-hand about the excitement and adventure of jetsetting, discovering new cities, exploring their hotspots and more. On the other hand one of the downsides of traveling is paying expensive airport parking fees when you depart and paying for equally expensive car rental fees when you arrive at your destination. These costs are even higher for frequent flyers and business travelers. Flight Car's innovative and unique take on airport parking and car rentals lets travelers park for free at the airport in exchange for renting their vehicles out to other approved traveling members. Pretty cool right! Every rental is insured up to $1 million, and every renter is pre-screened. Members get FREE airport parking, a car wash, curbside drop off and pick up and get paid cash if their car is rented out. Approved members renting from FlightCar get the lowest rental rates guaranteed, with free insurance, free extras and no fees. Plus, if you rarely drive your car, FlightCar's monthly parking program pays you up to $300 each month when you leave your car with them, guaranteed whether it’s rented out or not. Click here to see what FlightCar customers are saying about their exceptional service, then try them for yourself! Fab Tip: FlightCar now operates at the airports in Boston, Los Angeles and San Francisco but they are quickly expanding and we can't wait to see where they land next! This post is brought to you by FlightCar. All opinions are mine. What's the most you've spent on airport parking and car rentals while travelling? Share with us by leaving a comment below.